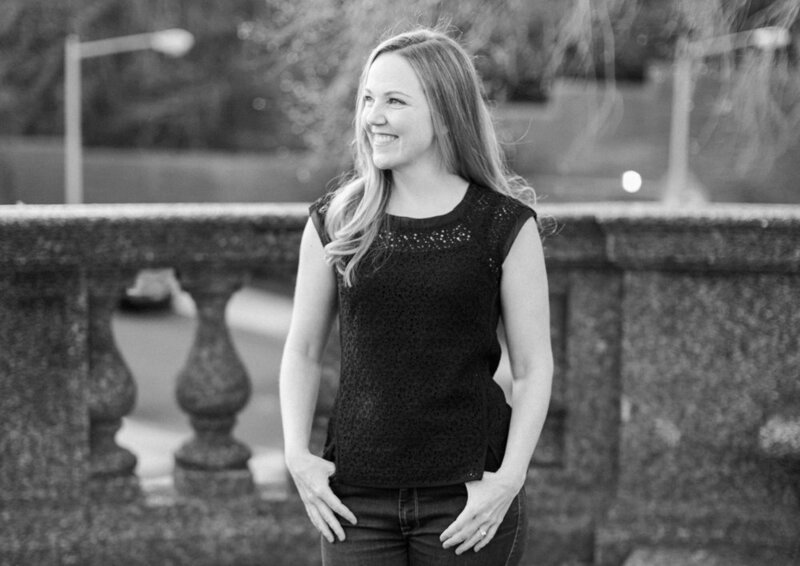 We're happy to introduce Aimee Stoltz, a plant-based personal and group fitness trainer in Washington, DC. When I was a little girl, I loved group fitness. I used to go take aerobics classes in the eighties with a lavender leotard and white leggings; there may have been a sweatband on my head--I'm not kidding. I adored the instructors and wanted to be just like them. In 2009, I walked into my first Zumba class and fell in love. It was the new aerobics! With my background in Latin dance, it was the perfect fit. I went to every class I could go to, and in 2011, got my Zumba license and became an instructor at Mint in Adams Morgan. Over time, I became more and more interested in fitness itself, and got my group fitness and personal training certifications. In 2015, I got my certification to teach Les Mills BodyPump, a 60-minute barbell strength training class set to popular music. I now teach both BodyPump and Zumba every week at a few different gyms in DC, and absolutely adore both formats. My father was a really into health and fitness; he loved outdoor exercise and always instilled healthy eating habits in me. I carried that motivation into my adult life and I credit him for setting me on the path to health and fitness today. I don't just want to live a long life, I want to live a long, healthy life, so I work hard today to achieve that tomorrow. For many years I only did cardio, just worrying about "staying thin." Once I started teaching group fitness, and more specifically when I started teaching strength training, I saw my body transform into truly being fit. My goal was no longer being slim, but being strong. Specifically, I would say that doing BodyPump 2-3 times a week has been the best workout I've found for me. I am fitter, stronger, and leaner now than I was 5, 10, and even 15 years ago, thanks to BodyPump, which I balance with a regimen of Zumba and other cardio as well as stretch and flexibility training. This is a tough question! I would choose two compound strength exercises and one cardio: barbell back squat, clean and press, and cycling. The first two strength exercises target multiple areas of the body at the same time and really give you a strength bang for your buck! I won't pretend that cycling is my favorite form of cardio, however, it is great for the long-term because of its low incidence of injury, low-impact nature, and ability to be modified for any level of fitness. If I could only do three or advise three, those would be them. I eat a 100% plant-based, or vegan, diet. People often ask me how I get enough protein if I lift regularly, but the reality is most Americans eat far too much protein every day (about twice what is necessary). I don't have to go out of my way to get enough protein eating a balanced diet of fruits, vegetables, seeds, nuts, legumes, and whole grains. In fact, most of my muscle has been built on a diet of these foods. You will most often find me eating peanut butter and toast with some fruit for breakfast, a Beyond Meat Beast Burger, veggie chili, or burrito for lunch, and all kinds of fun plant-based meals involving pasta, quinoa, chili, chickpeas, or whatever new recipe I'm testing out with my husband for dinner. I am a sucker for all vegan ice creams and love/hate that Breyer's, Haagen Dazs, and Ben and Jerry's have all come out with almond-milk ice creams in the past year or so. My cravings are almost always for sweets, so I deal with this by always having plenty of fresh fruit available in the house. I'm also a Weight Watchers leader, and one of the things I often advise members working to lose weight is not to deprive themselves of what they love. So I make sure not to deprive myself, and I have a small bit of dessert every night so I always get a little sweet fix while staying healthy! I think the biggest shift I have made in the past ten years as I've moved to a much healthier diet is changing my perspective on the role of food. Before it was, "what can I get away with?" and still stay the way I wanted physically. Now, I see food as fuel, and I would describe that as my approach. I am quite literally fueling my body every time I eat; when I do indulge in unhealthier treats, those moments are tempered by eating healthy, whole, plant-based foods the vast majority of the time. You can't exercise away a bad diet. Working out should be for the workout's sake, not to burn off bad choices. Eating a healthy diet and exercising regularly are not habits that happen overnight for most people. Incremental steps in the right direction will get you there, and soon enough it will be your way of life, for life. Track your food and exercise to get a sense of what you're eating and how much you're moving. Being aware is often the key to really making the changes you want to make. I came to DC for graduate school to study international relations, and I still work in this field. I love world travel and learning languages, having lived outside the US in several different countries. My bookshelves are full of grammar and dictionaries in Chinese, French, and Spanish. Most recently my husband and I went to New Zealand on our honeymoon, and we're in the midst of planning our next big international adventure! "Eat like you give a damn."